Black Image = International Space Station (ISS) is on the night side of the Earth. There is no audio by design. For a display of the real time ISS location plus the HDEV imagery, visit here: http://eol.jsc.nasa.gov/HDEV/ The High Definition Earth Viewing (HDEV) experiment aboard the ISS was activated April 30, 2014. 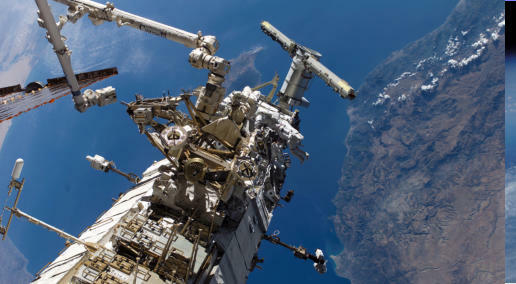 It is mounted on the External Payload Facility of the European Space Agency’s Columbus module. 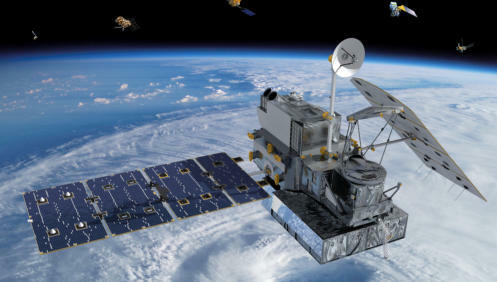 This experiment includes several commercial HD video cameras aimed at the earth which are enclosed in a pressurized and temperature controlled housing. Video from these cameras is transmitted back to earth and also streamed live on this channel. While the experiment is operational, views will typically sequence though the different cameras. Between camera switches, a gray and then black color slate will briefly appear. Since the ISS is in darkness during part of each orbit, the images will be dark at those times. During periods of loss of signal with the ground or when HDEV is not operating, a gray color slate or previously recorded video may be seen. Analysis of this experiment will be conducted to assess the effects of the space environment on the equipment and video quality which may help decisions about cameras for future missions. 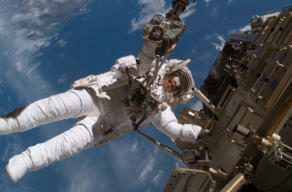 High school students helped with the design of some of the HDEV components through the High Schools United with NASA to Create Hardware (HUNCH) program.